Combining study and hands-on work, a new partnership between London South Bank University (LSBU) and East Surrey College will provide highly trained and capable engineers to local employers. For the first time this September, 14 apprentices will begin a three-year programme at East Surrey College studying towards a Level 5 Higher National Diploma in Engineering, later joining LSBU for two years to achieve a Bachelor of Engineering (Hons) in Electrical and Electronic Engineering. World-leading engineering specialists Thales have also joined the programme as the first employer, recruiting for apprentices to work in the state-of-the-art Engineering Hub at Manor Royal in Crawley. LSBU Dean of Engineering Professor David Mba said the partnership was an example of how LSBU was committed to providing greater access to higher education in the community. “As the No. 1 London Modern University for graduate prospects, we are always looking to ensure that our students will have the best possible chance to thrive in the workforce, and apprenticeships are a great way of achieving that,” Prof Mba said. East Surrey College Business Development Manager Richard Brooks said the programme was beneficial for all involved. 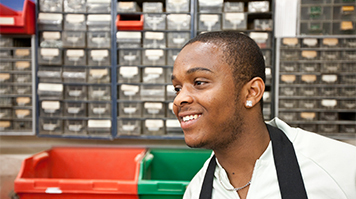 Find out more about studying Electrical and Electronic Engineering at LSBU.